Another driver hit me. What should I do after a car accident? Call the police. You should call the police soon after the accident. If you are not physically capable of calling the police, ask someone to call them for you. 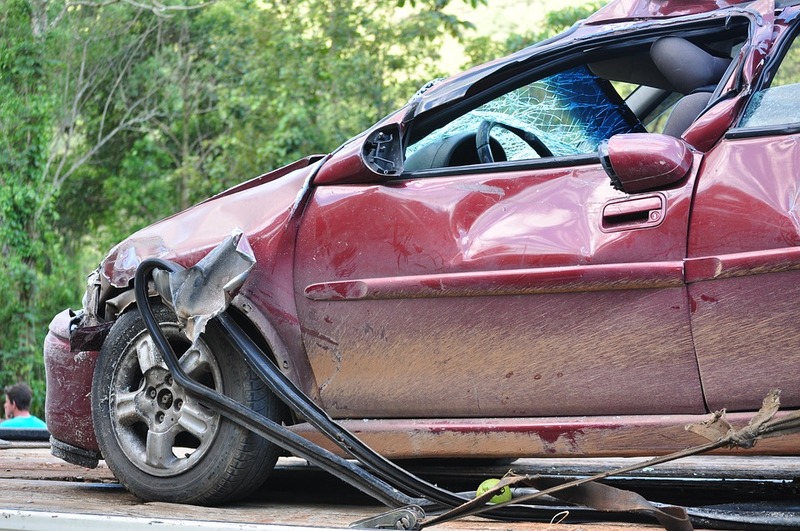 Learn more about reporting a car accident in North Carolina. Stay calm. If you believe you have experienced a serious injury, stay in the vehicle. Do not accuse anyone and do not blame yourself for the accident. Anything you say can be used against you in court. Call a friend or family member. You will be distracted by the stress of the situation. Having a friend or family member on the scene may be able to help you take certain precautions you did not think about. Make sure you receive detailed information. You need to know the driver’s name, address, phone number, license plate number, the make and model of the car, the driver’s license number, the car owner’s name, and the insurance company. This information must be obtained from every car involved in the wreck. You should also note any names and phone numbers of witnesses. Do not discuss the details of the collision with other people. The police are the only people you should talk to about your automobile accident. That includes your insurance adjuster. Only talk to your insurance adjuster about your vehicle. Do not give them any information regarding the accident or your injuries. If you tell someone you are injured or not injured, the insurance company will use this against you in court. If someone asks you if you are injured, let them know you cannot tell at this time. Take photographs of the scene. Most people can use their phone to take pictures now, but if you do not have one, see if any witnesses or other people involved can take pictures of the accident. Take pictures of any traffic control devices or signs. Photograph skid marks and any objects that were hit by the vehicle. Accident evidence might not be limited to photos. Look around to see if traffic video cameras are present. See a doctor. After an accident, visit a doctor immediately. If you do not, the insurance company will argue that your injuries must not be too serious; otherwise, you would have seen a doctor right away. Report the accident to the other driver’s insurance company. The other driver may not report the accident to his or her insurance company. You need to alert the other driver’s insurance company immediately. That way they will be able to examine the facts of the collision. Review your own insurance policies. You may be able to recover benefits from your own insurance. Even though you are making a claim against the other driver's liability insurance policy, there may be benefits you can collect from your own policy. These benefits could be from your Med-Pay insurance coverage. Med-Pay will pay you, up to the limit of your policy, to cover your medical expenses. Give your contact information to the other driver(s) involved in the accident. You will need to give the other driver(s) your name, address, phone number, and the name of your insurance policy. But be careful not to make any comments on how the wreck occurred or whether or not you are at fault. Secure your motor vehicle. If you go to the Emergency Room in an ambulance, make sure the contents in your car are safe. You will have to remove all valuables from your vehicle and the vehicle will need to be removed from the road. Of course, you will not be able to do this yourself, so make sure a friend of family member can do this for you. Most of the time, law enforcement will do this for you after investigating the collision.